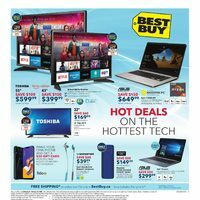 Best Buy Best Buy Flyer Roundup: Apple iPad 9.7" Wi-Fi 32GB $380, Google Pixel Buds $159, Instant Pot Duo Plus 9-in-1 Cooker $70 + More New Flyer! Instant Pot Duo Plus Cooker $70 + More! Get your weekly dose of tech with this new 29-page flyer, because you can find deals on appliances and electronics from several popular brands including Apple, Dyson, GoPro, Instant Pot and more! Here's a look at some of the deals available at Best Buy this week. This flyer is effective online and in Best Buy stores (where available) from February 8 to 14. 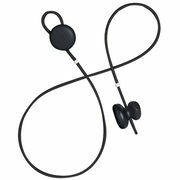 BestBuy.ca offers free shipping with orders over $35.00 (excluding oversized items) and a free in-store pick-up option with no minimum order.